Hiya guys! TGIF time because we made through another week. Whether it be through work or school, it doesn't matter because we made it and now we celebrate by indulging in our favorite past time... nail polish! And this weekend is one to celebrate as we wish a happy birthday to my nail bestie Cheyenne, maker behind CDB Lacquer. 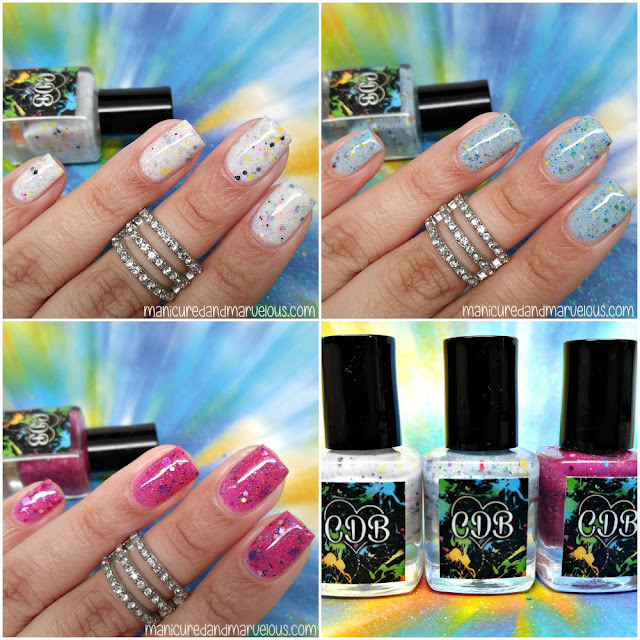 Today I'm sharing the latest releases for the shop, which include a birthday jelly and two crelly polishes. 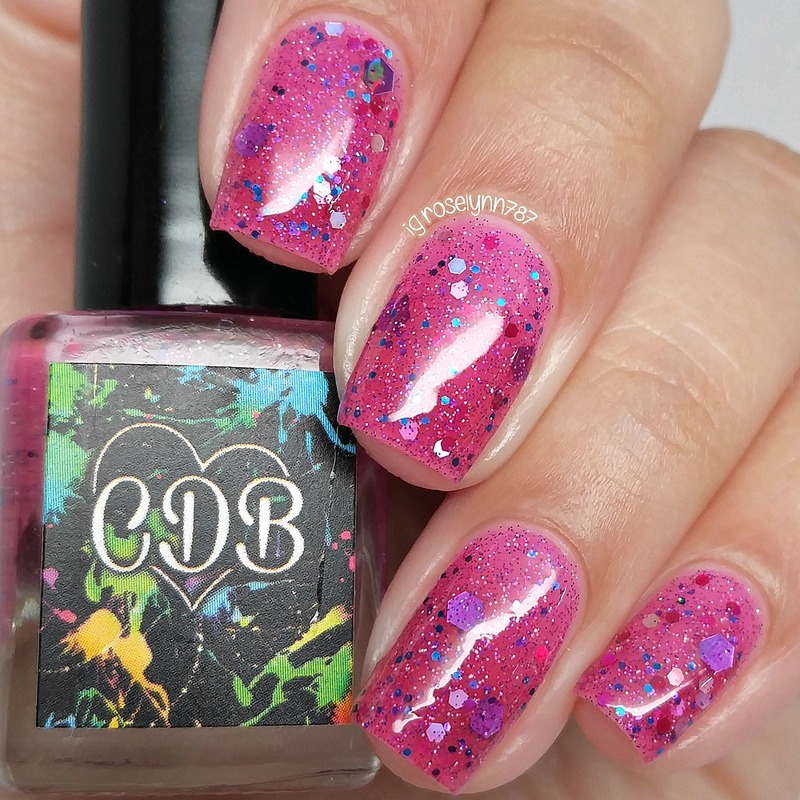 These latest releases from CDB Lacquer are now available in the shop for purchase. Each full-size bottle will retail for $9.00. 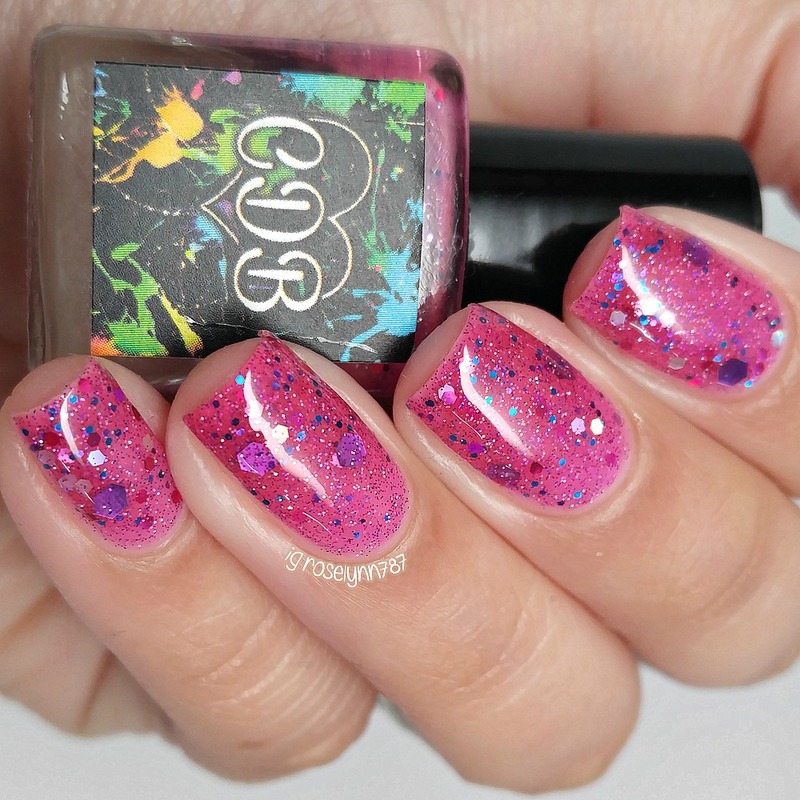 Happy 29th…again can be described as a fuchsia purple jelly polish that consist of white, blue, purple and pink glitters. This polish is the birthday shade for the girl of the hour, Cheyenne. And an adorable shade it is! The formula applies sheer since this is a jelly, but it builds up really well. There is no need to fish for glitters, but there is minimal dabbing needed to disperse them well on the nail. Shown here in three coats and topcoat. 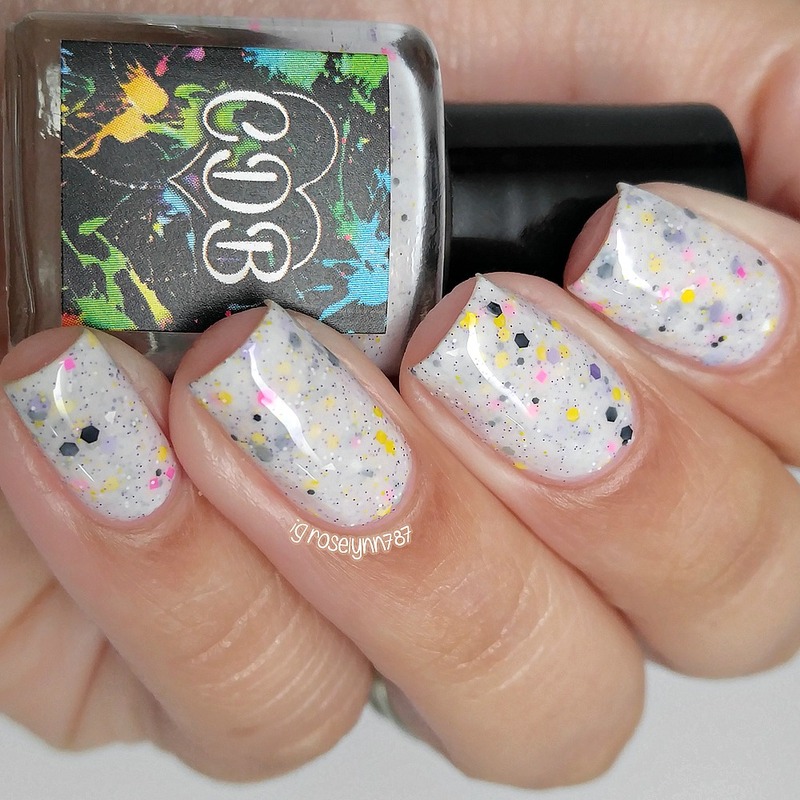 Don’t Look Back can be described as a white crelly that consist of purple, pink, black, gray and yellow glitters in numerous shapes and sizes. You guys know how much I adore a white crelly so I'll spare you the drooling, haha. The formula has an easy application with ample glitters per coat. There really is no need to fish or dab the glitter. Shown in two coats and topcoat. 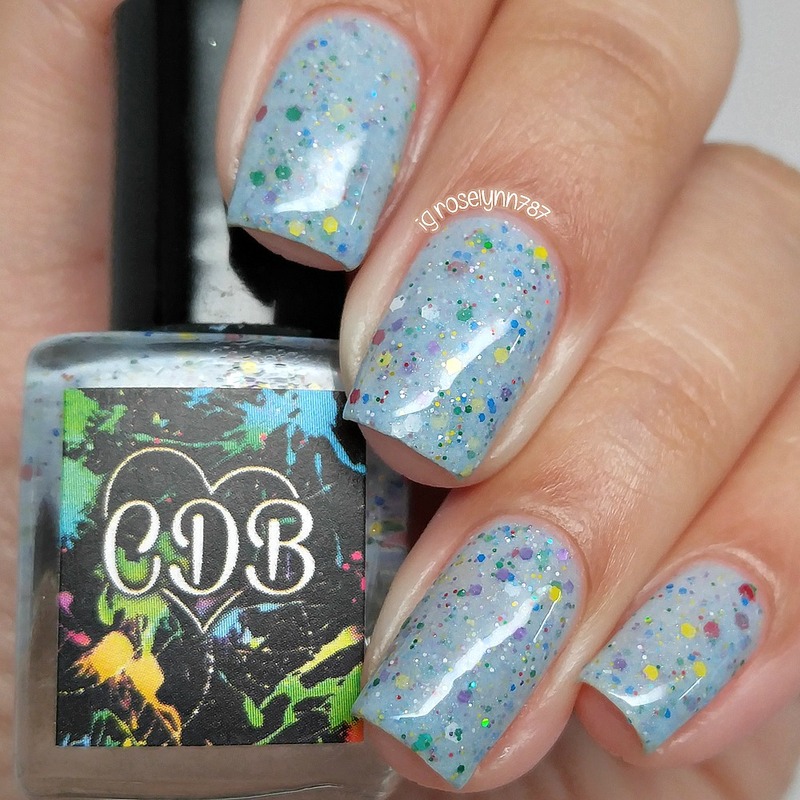 Over the Rainbow can be described as a pastel blue crelly with rainbow colored glitters in numerous shapes and sizes. Inspired by Cheyenne's favorite song from her favorite movie, the Wizard of Oz. Definitely my favorite among the three, I adore the color of the base and how well it hits the inspiration. It's also one of my favorite songs/movie so that's a plus as well. The formula applies similar to Don’t Look Back and has a great consistency that isn't too thick or thin. It dries a bit on the gritty side, but smooths down to a sleek finish after a layer of topcoat. Shown here in two coats and topcoat. Overall I think Cheyenne really hit it out of the park with these three. I've always said that crelly finishes are one of the things CDB Lacquer is known to excel in because of the formula alone. These have a great consistency and applications, especially since they're so glitter heavy. If you're a fan of glitter and crellys, then these are surely one you don't want to miss out on. My favorite is definitely Over the Rainbow, how about you guys? 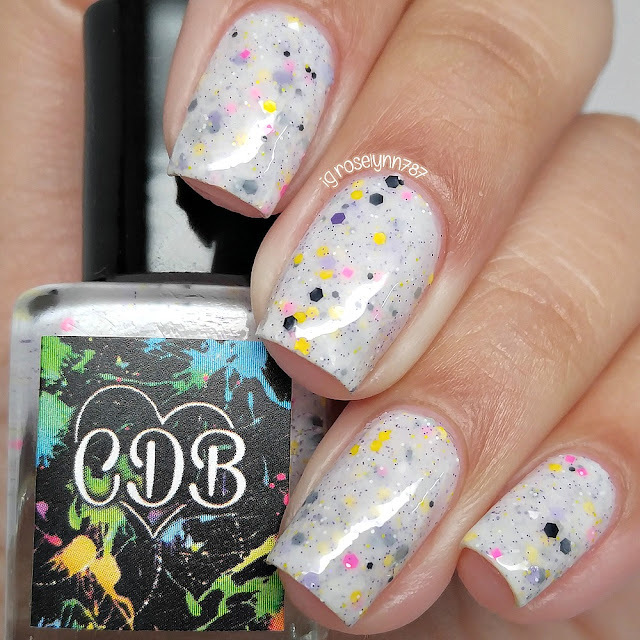 To recap, these latest releases from CDB Lacquer are now available in the shop for purchase. Each full-size bottle retails for $9.00. I LOVE don't look back! These make me so happy! Such beautiful swatches. These are very pretty. Love over the rainbow. I just love Over the Rainbow, it's so fun!! Don't Look Back is gorgeous!! Love white crellies.